Made it to Week 18! And no, I don’t have a picture because we were on vacation. I bought an onion (because I’m carrying an Onion now! ), brought my calendar shirt & skirt, and forgot to take the picture. Go figure. Better next week. Started feeling this little “onion” moving around at about 16 weeks… if that’s any indication, I have a feeling we’ve got a pretty active one on our hands! Sometime this week I’ll call to schedule the ultrasound for later this month – around 20 weeks hopefully. So, I’m not feeling sick anymore… which is my cue to start Red Raspberry Leaf Tea religiously every day until birth (get the loose leaf product I prefer here or ready-made teabags here). Sigh… Oh how I’ve always hated that stuff… but, I love the results, so here we go again! 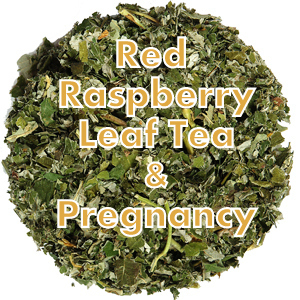 Why take Red Raspberry Leaf during pregnancy? Oi… I have done some research online, and there are so many ideas & thoughts on the subject as well as varying “recipes” and dosages. I have decided to do what I’ve always done at the recommendation of my midwife. According to the pamphlet she gave me when I was pregnant with my first child, the tea if taken as suggested, works to strengthen & tone the uterus during pregnancy resulting in a shorter labor & delivery. This can be found online as well, but I haven’t been able to come up with links to any “convincing” studies. But, I feel that it’s worked for me, and I hear success stories from friends. That’s good enough for me! Here is a pretty thorough blog on the benefits of RRL during pregnancy. I learned to make the tea differently than what is instructed in this blog however. I think I’ll continue since I have experienced great results. Those being a 4 hour first labor/delivery, 3 hours 50 minutes for the second, and 58 minutes for the third. Those are start to finish numbers & I aim to continue the trend! Although, a shorter than an hour labor does make me a little nervous! That being said, I’ve always hated drinking RRLT because it’s sooo strong (probably because I brew it for so long – see below). However… this year my Brother-in-Law gave us some of his raw honey & I started sweetening it with that (instead of Splenda as I’ve always done, but that’s always bothered me, so I started using the honey). I was so thrilled with the taste! Somehow I actually like it this time! It’s really strange. It’s hard though, because I have this mental aversion to it because of hating it for so many years. But I’ve found the trick for me is to set it on the counter in a jar with a straw in it. If it doesn’t have a straw, I don’t drink it! I don’t know what that’s about. So, I leave the stuff on the counter and will myself to take a sip every time I walk by. This is only the first week of taking it, so maybe, because I do like the flavor with the raw honey, maybe I will be able to sit myself down with a cup of tea sometime! If you’d like to research more about RRLT on your own, feel free, if not, here is my “recipe”! 1/8 Cup Cut & Sifted Red Raspberry Leaf, 3 Cups Water, bring to a boil, simmer for 20 minutes. Sweeten with Raw Honey, pour into mason jar, stick a straw in it, & leave it on the counter to take sips throughout the day. 1/2 Cup Cut & Sifted Red Raspberry Leaf, 5 Cups Water, bring to a boil, simmer for 20 minutes.